Temporomandibular joint disorder may encompass conditions that effect the joint, jaw muscles and nerves on one or both sides of the head. Pain may be experienced in one or more of these areas: jaw, neck, face or head. Myofascial Pain: A common, painful condition that involves the muscles that control jaw movement. Internal derangement: Dislocated or displaced disc in the jaw joint, dislocated jaw or an injury to the "hinge or head of jaw" (mandibular condyle). What is involved in the treatment of TMJ/TMD? 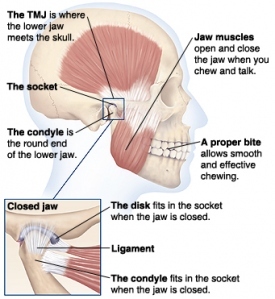 TMJ treatment may range from conservative management to complex surgery. Depending on the diagnosis, treatment may include short-term anti-inflammatory drugs for pain and muscle relaxation, an occlusal splint (night guard), head packs, physiotherapy and education. Once TMJ disorders are correctly diagnosed, appropriate treatment can be provided. As an Oral and Maxillofacial Surgeon treating disorders of the mouth, face and jaws daily, Dr Webber is extremely qualified in the efficient implementation of correct treatment for such disorders. 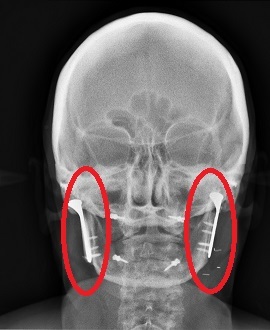 Only a small percentage of TMJ cases require surgery. The indications are very specific and typically surgery is only considered after all other conservative measures have been exhausted. 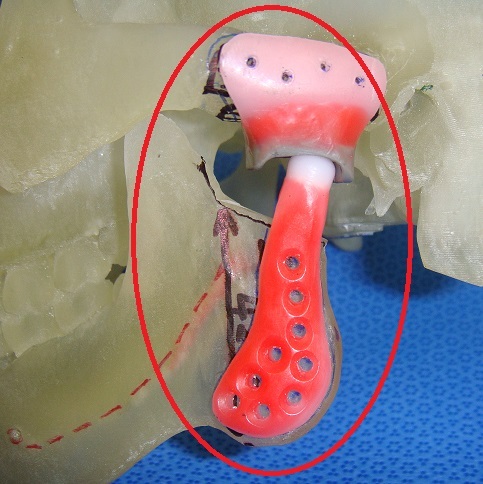 When patients have exhausted all conservative treatment options, or have debilitating symptoms and a poor quality of life secondary to end-stage arthritic disease, a Temporo-Mandibular Joint (TMJ) Replacement may be the best and only surgical option. This also applies to post-traumatic injuries and rheumatoid-affected joints. Dr Webber is one of few surgeons performing this procedure in Queensland and will discuss the best choice of prosthesis with you at the time of consultation. For further information or to arrange a consultation please contact us or phone 07 5527 8858.